From drugging kids into attention and reviving behaviorism to biometric measurements of teaching and learning Scripted Bodies exposes a brave new world of education in the age of repression. 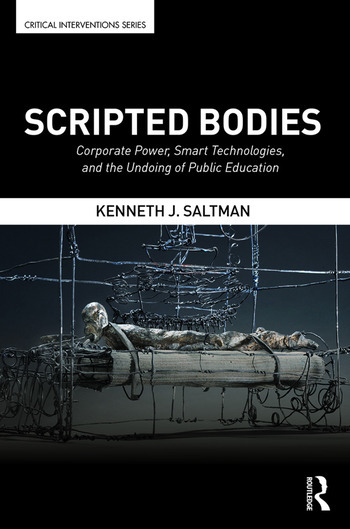 Scripted Bodies examines how corporeal control has expanded in education, how it impacts the mind and thinking, and the ways that new technologies are integral to the expansion of control. Scripted Bodies contends that this rise in repression must be understood in relation to the broader economic, political, and cultural forces that have produced an increasingly authoritarian society. This book details how these new forms of　corporeal control shut down the possibility of public schools developing as places where thinking becomes the organizing principle needed to contribute to a more equal, just, and democratic society. Kenneth J. Saltman is a Professor in the Department of Educational Leadership at the University of Massachusetts, Dartmouth, where he teaches courses in the Educational Leadership and Policy Studies PhD Program.